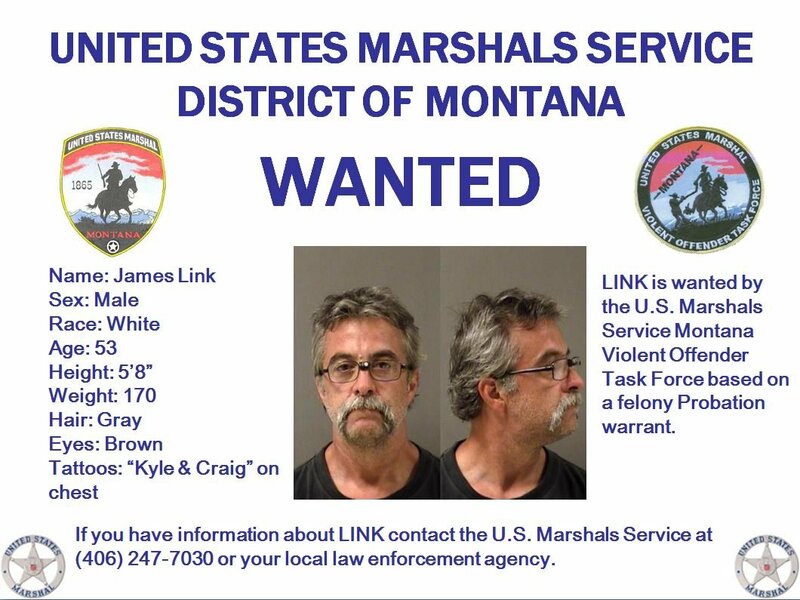 The United States Marshals Service District of Montana has issued a BOLO Alert (Be-on-the-Lookout) for James Ernest Link. Link, 53 years old, is wanted by the Montana Violent Offender Task Force based on a felony probation warrant. According to state prison records, Link has a felony burglary conviction in Cascade County. Link is 5’8", about 170 pounds, and has gray hair and brown eyes. Anyone with information about Link is asked to call the U.S. Marshals Service at 406-247-7030 or their local law enforcement agency.